If you live in much of the United States you reply on air conditioning for at least a part of the year and heating for the rest. You know that reliable hearing and air conditioning is not so much of a luxury but a necessity around the country. What you may not know is how important home maintenance of your home’s heating, ventilating and air conditioning (HVAC) system is. When properly installed and regularly maintained, your HVAC system should be able to last you between 12 and 15 years. There are some things that you really need to being a HVAC repair company in to deal with and handle correctly but there are things you can do yourself to keep your HVAC system running well and hopefully prevent the need for expensive emergency air conditioning and heating repair. Inspect your heating and air conditioning system regularly. If you are able to spot small problems early when they are small, you can avoid needing to make expensive repairs later. This will also help you keep your reliable heating and air conditioning system operating well enough to keep your home comfortable during the hot summer months and warm during the winter. Look for water leaks, frozen coils and dirty evaporator or condenser coils. If you see these you should enlist a professional to help. You should make a point to deal with any moisture problems as they can lead to a host of more issues for your home. Pay attention your heating and air conditioner’s filters. This is one of the easiest and cheapest things you can do to keep your system running the way it should run. You should change the filters at least once every three months unless when doing a visual inspection you notice they are getting clogged or dirty. Then you should change them when you notice that. During the summer months when your system runs a lot or in the deep winter months when you need a lot of heating, check it more often. Once a month works better during these times of peak usage. It costs a lot less to replace a filter than to get an entire heating and air conditioning system replaced. When your reliable heating and air conditioning system has to operate with clogged or dirty filters, it cannot perform as well. This leads to an increase in the wear and tear on your entire system. A clean and clear air filter allows your system to operate at its peak efficiency, which will also have the impact of lowering your energy bills. This will also give you the added benefit of improving the quality of your air. That can be very important for people who suffer from asthma and allergies. Keep an eye on your thermostat. If you raise your thermostat by just one or two degrees in the summer and the same amount lower in the winter, you will see a real difference in your energy usages and bills. Doing this can also help reduce the amount of wear and tear on your system, which will keep your reliable heating and air conditioning system running reliably for longer. 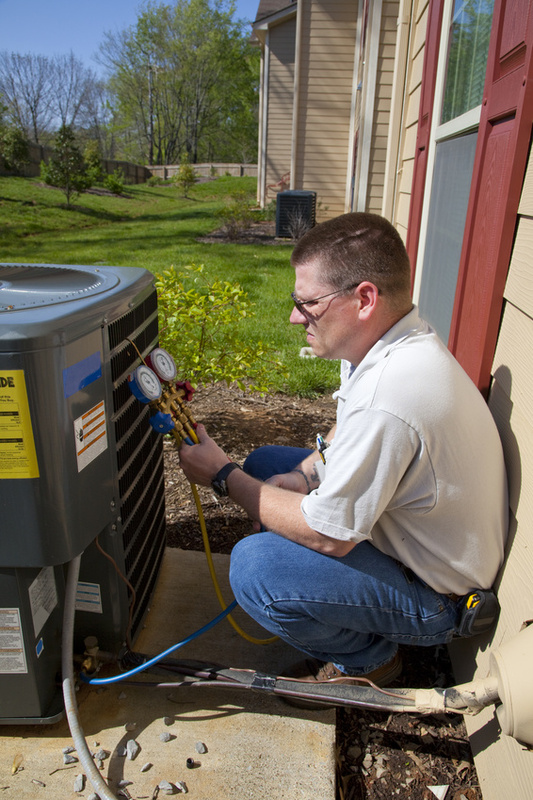 Your regular inspections cannot take the place of a biannual tune up done by a good, local, reliable heating and air conditioning contractor or company. It is recommended to schedule these tune ups for when the time changes occur in the spring and fall. Another way to think about that is to do them before peak heating and cooling seasons begin. You should expect to pay between $70 and $100 but that is a cost you will get back and is worth it. Many homeowners do not give their reliable heating and air conditioning systems much thought at all unless there is a problem. When problems with these systems happen, it is never at a good time. It is usually at the coldest or hottest time of the year when you have friends or family visiting. You can ensure your systems operate at their peak and are able to keep your home comfortable in the heat and the cold. Pay some attention to your HVAC maintenance and you will save money and worry.